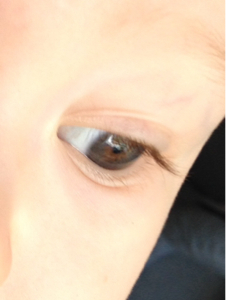 Any examples of gray brown eyes? According to this its the most common Gheg eye color? I suppose its a mix of grey and brown. I wonder how much of it is Hazel as it's not in the list. Hazel definition probably came out rather recently. I actually think most of my relatives with light eyes have grey eyes, this whole time I confused it with other eye colors. Even my great grandfather seemed to of been grey eyed. Same for other Albanians. But I'm guessing gray brown or something along those lines. Beards are also lighter than head hair on average which I also noticed. Im guessing the ratio depends how much is grey and how much is brown. All these studies were done on mountaineers that still lived in the mountains during the 1930s ++ btw , there was never a study on Gheg lowlanders. Hundreds of years seperation certainly should of made its mark which is why you even have specific Kosovar phenotypes that are rarely ever seen in other Ghegs for example and vice versa. This eye color is very familar to me btw, Ive seen this in many Albanians.